The bone-aching chill this winter was not just a fluke. 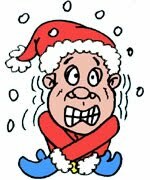 Despite what the progressive useful idiots say, the fact is that average temperatures across the United States between December and February have dropped 2.26 degrees (Fahrenheit) in the past twenty years based upon correct data at the National Climate Data Center. There have, of course, been unusually warm winters, but that is what climate does – move in cycles. There has been no indication or facts to substantiate the global warming theorists – anywhere on Earth, despite those brief fluxes for at least 17 years. “Global Warming” certainly is not global. To cover their stupidity and for junk scientists’ deception (or incompetence) – they have changed the term ‘Global Warming’ to ‘Climate Change’ – just in case regions of Earth go into an Ice Age. Since prehistoric periods in Earth’s story, animal life has survived devastating circumstances from the splitting of the continents to severe earthquakes in the modern era. It is egotistical or just plain naïve to believe that any government body can legislate away the act of nature that has been around before humans came into existence. Where In the Heck is Global Warming When One Needs It? Tomorrow will be the first day of March as I sit and watch heavy snow fall with a wind chill temperature of 10° F and falling. This month there was only two “warm” days when temperatures reached 30° F. This cold wave has swept across the nation and the South has experienced snow and ice they haven’s seen for a while. And still, global warming advocates, who have changed that term to “climate change” insists that the world is going to continue to heat up and disaster will strike. Frankly, as I have mentioned before, I would rather have some warming trends rather than an ice age, because the latter kills everything that allows prolific life. I am sure that the useful idiots of junk scientists and moronic, corrupt politicians know that once upon a time in pre-human history there were dinosaurs who existed because there was prolific plant life – larger than the species found today, living happily under climate conditions that we call the greenhouse effect today. Even early humans migrated away from the Ice Age belt of an area in order to survive, and that phenomenon destroyed many species, both flora and fauna. Therefore, I fear an ice age more than some warming. And do not tell me that a warming period will create more conditions like the Sahara Desert, because recent scientific examination reveals that the largest desert in the world was created when the African continent of today formed by splitting away from the South American continent of today, Indeed, evidence showed that the two longest rivers in the world, the Nile and Amazon were once connected before that continental split and drift. The Earth has changed greatly over the eons of time, even long before human presence. I certainly am for conservation and preservation of natural resources and the enjoyment of nature; however, I look upon it all in logic. 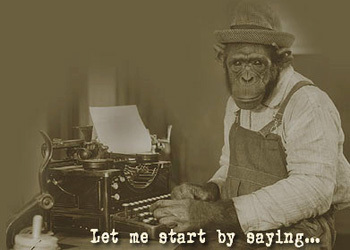 Years ago I offered to shave my head bald and eat a can of dog food if someone—anyone– could show me a credible scientific paper that demonstrates how the earth would cool even a fraction of a degree Fahrenheit by enacting a carbon tax here in the United States, such as the one proposed by the Democrats in 2009 and 2010. I’m still waiting. When P.T. 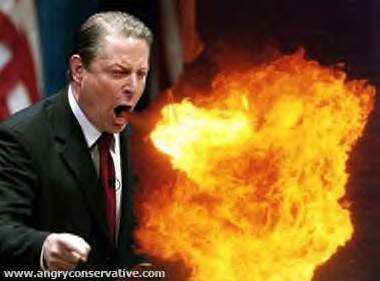 Barnum stated that there was a sucker born every minute; Al Gore was paying attention. He has made a fortune, along with his cronies on stupid people who believed their “sky is falling” propaganda. Even after the scam was revealed through unauthorized access to leading scientists email – people are still going along with it. Hollywood was stupid enough to give him an award for his propaganda documentary. Those scientists who were made to ridiculous for speaking out against the whole nonsense are now suing Gore. He even won a Noble prize. Barack H. Obama has pushed the climate change “cry wolf” concept, conveniently changed from “global warming” when the truth was revealed. The sad thing is that legitimate scientists and meteorologists have been “blackballed” within their profession because of this junk science. Congress needs to stop approving spending money on these schemes. The IPCC is going to release a report this month that will counter the “global warming” theory changed to “climate change” fear-mongering to reveal that the changing climate/weather will be COLDER. The Wall Street Journal stated that the alarm has been dialed back. This will not hinder them from their man-made climate change theory to be spread as gospel truth. All of this is just plain criminal. Tea Party News Network: Priorities: Fourth of July Cancelled for Military Bases While the Obamas Tour Africa on the Taxpayer Dime. Though we ask our soldiers to risk life and limb for their country, many soldiers will be unable to see the rocket’s red glare this year as we celebrate our nation’s birthday. But don’t worry; The Obamas are reportedly having a great time on their taxpayer-funded vacation to Africa. Fourth of July celebrations have been cancelled at Camp Lejeune Marine Corps Base and at the Army’s Fort Bragg. The fourth of July celebrations have also been cancelled at the Marine Corps Logistics Base in Albany, Georgia. The Shaw Air Force Base in South Carolina have also cancelled their Fourth of July celebrations as well as the Joint Base Pearl Harbor-Hickam in Hawaii and New Jersey’s Joint Base McGuire-Dix-Lakehurst. All of the celebrations have been cancelled due to budgetary restraints. The Tea Party is a fiscally conservative organization and we advocate small, limited government. Though Senator Harry Reid and other hysterics would like to label us “anarchists” or advocates of no government, we are merely advocates of small government that makes good decisions with taxpayer money. 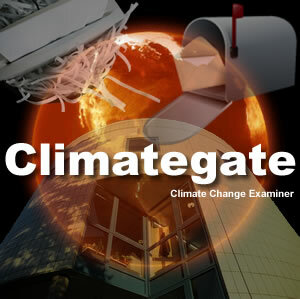 People are forgetting what was revealed in Climategate, 2009. Why do people gravitate toward the elite whose sole desire/purpose in life is to control others? To provide an example that freedom can be lost no matter which traditional political entity is in charge, take a trip into cyberspace and visit Real Science and Steven Goddard. A parody website is also out there who frets over the fact that Mr. Goddard seems to be a mystery man, yet his name pops up when it comes to discussion of “climate change” formerly called “global warming” by the progressives.